What’s better than descending Italy’s legendary Monte Stelvio Pass… at an elevation of 9,048 feet/ 2,758 meters… with all of its 48 hairpin turns… on a bike with no handlebars or brakes… at night illuminated only by a torch and moonlight!? Watching someone else do it! On Friday June 16, The Palace Danbury will present the Ciclismo Classico Bike Travel Film Festival, showcasing the best bike travel films by professional and amateur filmmakers from around the world. 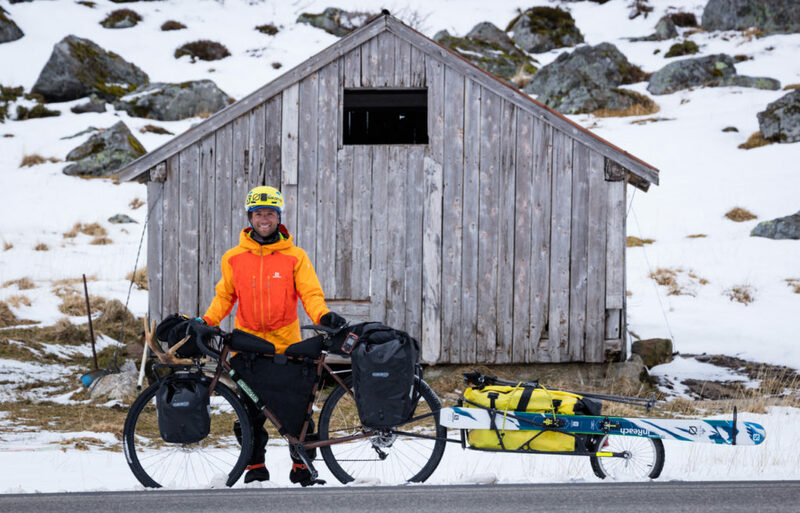 Now in its eighth year, the Festival is the ONLY one in the USA to feature films specifically about two-wheeled travel, and it has gained a huge following over the years. The Palace Danbury is the only location in Connecticut participating in the festival. There’s something for everyone at this year’s festival, and you don’t need to be a cyclist to enjoy these tales of adventure! The festival goes all over the world in search of interesting journeys – from Italy to India to Kenya and beyond, The Palace Danbury is proud to present this one of a kind event. In addition to the films, there will be plenty of door prizes and giveaways, plus the opportunity to meet and mingle with members of the cycling community, local bike shops, armchair adventurers and independent film fans. The Ciclismo Classico Bike Travel Film Festival will take place on Friday, June 16 starting at 8:00 PM. Ticket cost $15 in advance/$20 the night of the show. Tickets may be ordered by phone at 203 794-9944, at the box office starting at 7:00 PM day of show or online at https://tickets.thepalacedanbury.com. The Palace Danbury is located at 165 Main Street in Danbury, Connecticut. Free parking is readily available for theatre patrons in the parking lot behind the building. For more information about this and all upcoming shows, visit www.thepalacedanbury.com.